The Warm Front grant scheme was introduced by the UK government to help make our homes more energy efficient and our heating bills more affordable. In January 2013 this scheme came to an end, however it is still possible to apply for a government grant to help with your home heating. Warm Front was replaced by the Energy Company Obligation (ECO) scheme. What’s the Energy Company Obligation? The ECO scheme requires the UK’s biggest energy suppliers to help us to improve the energy efficiency of our homes, reducing heating costs and carbon emissions. They are obliged to fund the installation of new boilers and / or insulation for low income households and districts. 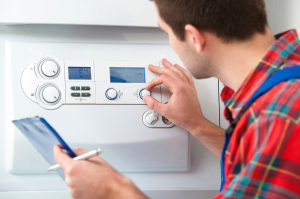 By installing a more energy efficient boiler and reducing the amount of heat that escapes your home, you can significantly reduce your heating bills. The Carbon Emissions Reduction Obligation (CERO) provides insulation for solid wall homes and hard-to-treat cavity walls. The Carbon Saving Community Obligation (CSCO) provides insulation and district heating systems for homes in areas of low income and vulnerability, particularly in rural communities. The Home Heating Cost Reduction Obligation (HHCRO) obliges energy suppliers to fund more efficient heating systems, controls and loft, wall or roof insulation for low income and vulnerable households. In October 2018 the new version of the ECO was launched, and the government decided to change the scheme so that it focuses 100% on the Home Heating Cost Reduction Obligation (HHCRO). 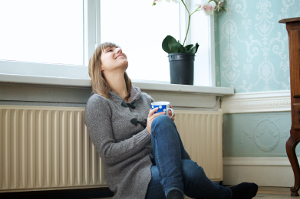 Under HHCRO you could qualify for a free grant to help with the cost of installing a new boiler in your home. It’s sometimes referred to as the Affordable Warmth Scheme (or Obligation) and is available is England, Scotland and Northern Ireland. Wales is supported by a similar scheme called Nest which is managed by British Gas. Apply for a free boiler grant now by filling in our simple online form. The biggest energy companies have set aside funding to help those who qualify to improve their home heating system and energy efficiency. They offer this money in the form of grants which, unlike loans or finance agreements, don’t need to be paid back. These grants will cover some or all of the cost of repairing or replacing a boiler, improving insulation or introducing better heating controls. 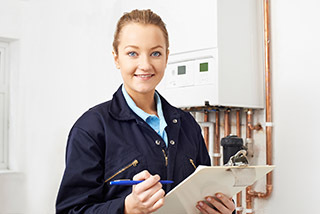 Once you’ve qualified an assessor will visit you to decide what work is needed. If the grant does not cover the full cost of the work you will need to make up the difference. There are several other government schemes intended to support people on low incomes and certain benefits. So if you don’t qualify for a free boiler grant under ECO, you may want to look into some of the other options available. 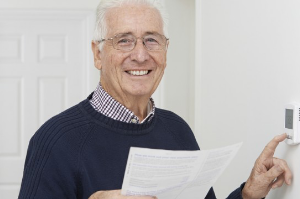 If you were born on or before 5th May 1953, receive a state pension, pension credit, jobseeker’s allowance or income related employment and support allowance, the government will give you a tax-free payment of between £100 – £300. More information can be found on the official government page for the Winter Fuel Payment. 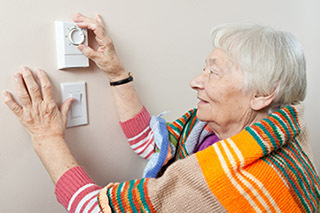 The government will give a payment to older people and those on certain benefits, to help cover heating costs when temperatures hit zero in your area. They will make a payment of £25 for every seven consecutive days that the average temperature is – or is forecast to be – 0°C or below. The payment should be paid into the same account your benefits are paid into, within 14 working days of the cold weather. The 2016 to 2017 Cold Weather Payment scheme has now ended. Next year’s scheme is due to start on 1 November 2017 and you will be able to check if your area is due a payment then. The big energy suppliers are legally required to give certain people a rebate of £140 on their energy bills between October – April. Those who qualify include people who receive pension credit and low income families. Applications for winter 2016 to 2017 have now closed, but you can find more information about the scheme on the government’s page for the Warm Home Discount Scheme. Those who receive certain benefits and are struggling to pay their bills may be able to arrange for the benefits office to pay the fuel bill automatically out of their benefits and contribute an agreed amount. If you think you may be eligible you can contact Jobcentre Plus (or your pension centre if you’re on Pension Credit) and full details can be found on the government website.